Johan Baeckström and Jarmo Ollila aka. 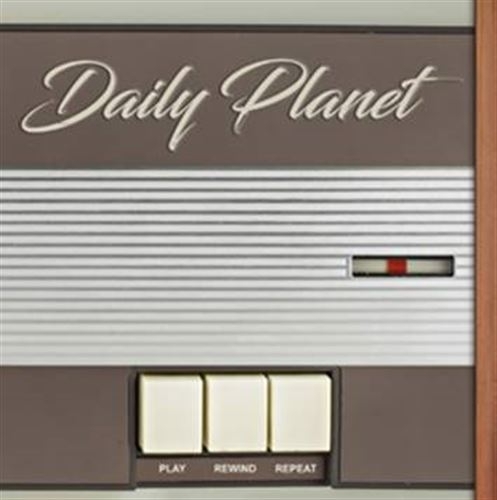 Daily Planet is back with their third album on May 26th. The band first appeared in the mid 1990´s with the single "Milky Way", followed by the highly acclaimed (long deleted) album "The Tide". In 2014 the band finally made a long awaited comeback with the album "Two". Swedish electronic pop music at its best - beautiful melodies delivered through Jarmo Ollilas extraordinary vocals and Johan Baeckströms attention to details in every aspect of the production. Joining the band on guest vocals on one of the tracks is noone less than Mr Mac Austin, lead singer of the UK band White Door, who´s classic album "Windows" released in 1983 has always been a great inspiration to Daily Planet. "Play Rewind Repeat" is a MUST for ALL fans of synthpop!